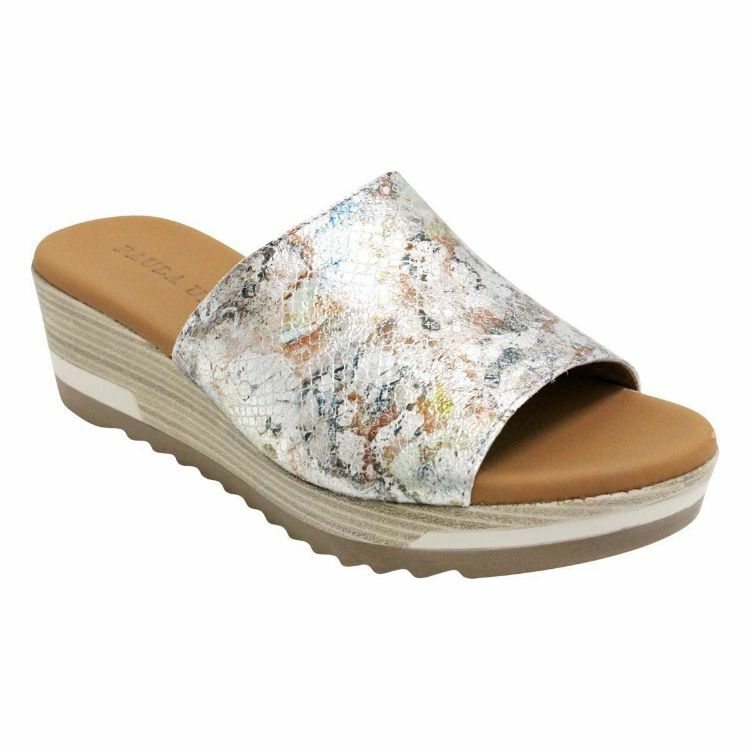 Slide into PU46 by Paula Urban this summer and glisten with every step! 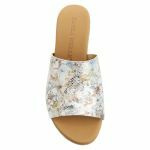 These super comfortable wedges mules are ones to add to the wardrobe as they are unlike all the rest. The beautiful snake lookalike leather glimmers and shines with the silver metallic finish. 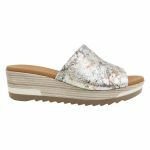 These wedge mules are comfortable and easy to get around in. They can be worn casually or formally depending on your accessories!